Starz has announced that it will exclusively debut the US television premiere of the tour documentary The Rolling Stones Olé! Olé! Olé: A Trip Across Latin America on January 15th 2017 and the concert documentary Havana Moon on January 22nd. Both documentaries will also be available for download and streaming via the Starz app from January 15th. 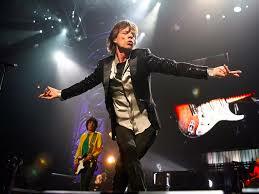 The Rolling Stones Olé! Olé! Olé: A Trip Across Latin America documentary is an intimate insight into the world of the Rolling Stones while following their tour in early 2016 through 10 Latin American cities, combining electrifying live performances from across the tour as well as their historic tour finale in Havana, Cuba. The documentary gives an inside look at the interworking of the creation of the historic Cuba show, through interviews with the tour promoter, management, production and logistics managers, and the band members themselves. Havana Moon features the full Havana concert, which marked the end of their tour and the first time a foreign rock band has ever played Cuba.